You know, whenever one decides to put together a list like this they’re in trouble. Either you have trouble finding people to eliminate or you have issues with trying to get to 10 in the first place. Not that you didn’t have 10 people you liked, but you can get bogged down in your own minutiae and find that your own standards are suddenly too high to get to your magic number. Then there’s the act of sharing such a subjective list. Everyone will have their favorite period, and you find that there are some players you might want to name that you never actually got to see play; that won’t work now will it? Or some players who are close to you in time and thus you think of them as your favorites without remembering until later just how much you enjoyed someone else. I’m fearless like that, so I decided to undertake this task with some of my own rules. One, they had to be players I actually saw play. This knocks out Dave Bing because I was only 7 years old when I could have possibly seen him, but my dad wasn’t a basketball fan so it never came up. Two, no current players can be on my list. A couple of them might make it in years gone by, for for now I’m just going to enjoy them as a team that’s undefeated as of the time this post is going live, 23-0 with Pittsburgh on the horizon later this evening. And three, to save myself a bit of agita, I’m not worried about placing them in a specific 1-10 order. Nope, not going there. Sure, they’ll be in some order, and I’ve decided I’m putting them in alphabetic order by last name just to save myself some grief. Derrick Coleman – I loved watching Derrick play, and man, did he love getting those rebounds. I’ve never understood how so many teams forget that some players are left handed, and DC burned lots of teams because of it. And of course he helped get the team into the 1987 championship game and had 19 rebounds, almost double the next closest person. Sherman Douglas – The General; what more needs to be said? He was the master of the alley-oop way before anyone else really seemed to be doing it with such proficiency, and he could score when needed. He led the team into the championship game in 1987 and scored 20 points. Gerry McNamara – Come on now, how could I leave G-Mac off this list? Those 6 3-pointers he hit in the first half against Kansas were big. Then in his last year he literally carried the ‘Cuse to the Big East Championship with a broken body. He gave it all and was superb in doing it; overrated my… hmmph! Lawrence Moten – Talk about one of the smoothest players ever, and with those socks! I loved watching him play, and it seemed that he pretty much could score at will without effort. 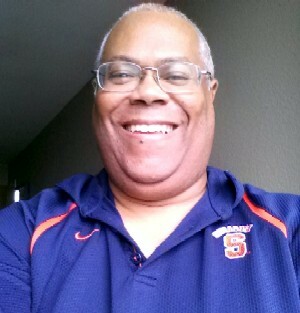 He wsa both Syracuse’s and the Big East’s all time leading scorer and the only player in ‘Cuse history to score 500 points 4 years in a row. Louis Orr – You can’t have the Louis & Bouie show without Louie right? He had a smooth game as well but he also had a lot of heart. When Syracuse beat Tennessee and the vaunted Ernie-Bernie tandem it put Syracuse on the map for good and brought eastern basketball with it. And then all those great years with the Knicks; wonderful stuff. John Wallace – Wallace was the man, lots of talent and heart and literally put the team on his back and led them to the 1997 championship game against Louisville. Take away that one bad call that gave him four fouls and led to his fouling out of the game eventually and we could have had that championship 6 years earlier. There’s my list; let’s see who’s on yours. great list Mitch. My list goes back a little further, at the expense of some of the more recent players–’cause that’s when I used to have season tickets. GMac is my fave of all time. 2) If you were trapped in a foxhole, which person would you most like to have in there with you to help you get out? “Gerry McNamara” was his reply to both questions. He’s not a bad one to like Steve. Still, you’re relatively new to the area, so you probably missed all those miracles Pearl produced, kind of like Ennis only flashier. Were you here in ’97 when Wallace took them to the championship game? Mitch–agree w/ you that Adrian Autry was a great player. Also surprised that Billy Owens, Rony Seikaly and Raf Addison didn’t appear on either of our lists. They all had big careers at SU and went on to the pros. Owens and Seikaly would have been in my 2nd ten along with Alexis. I remember Hawkins as undersized and I still haven’t forgiven him for committing that foul at half court with 1 second remaining and causing us to lose the Boston College game. lol I think I’d just gotten to Syracuse when Williams & DuVal were playing so I missed them. And I couldn’t like Headd on principle because he played for CBA and I was a Liverpool guy and we were in the same graduating year lol.